As a freelancer, I can easily get caught up in client work and not even touch my camera (not counting my iPhone, of course) when I have free time. When photography was simply a hobby, everything was personal work. Now less and less of it is, and I have to remember to pause and shoot things for myself. 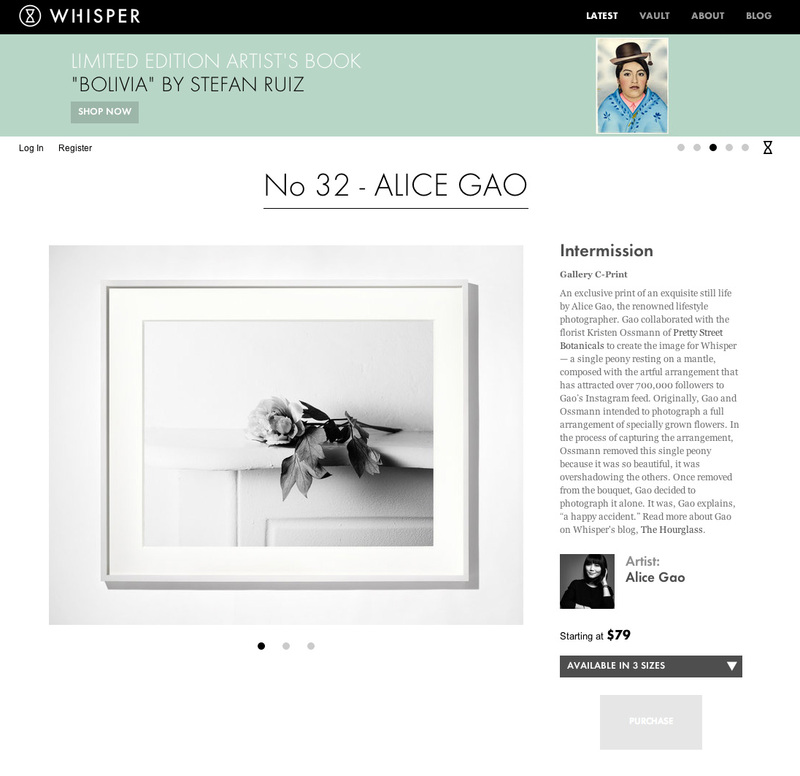 I welcome any opportunity to create more personal work, so I was pretty excited to be creating an exclusive limited edition print for Whisper Editions. Whisper has a rockstar line-up of artists, and having not come from a fine-art background, I was more than slightly intimidated. But working with Kristen from Pretty Streets Botanicals was relaxing and fun. 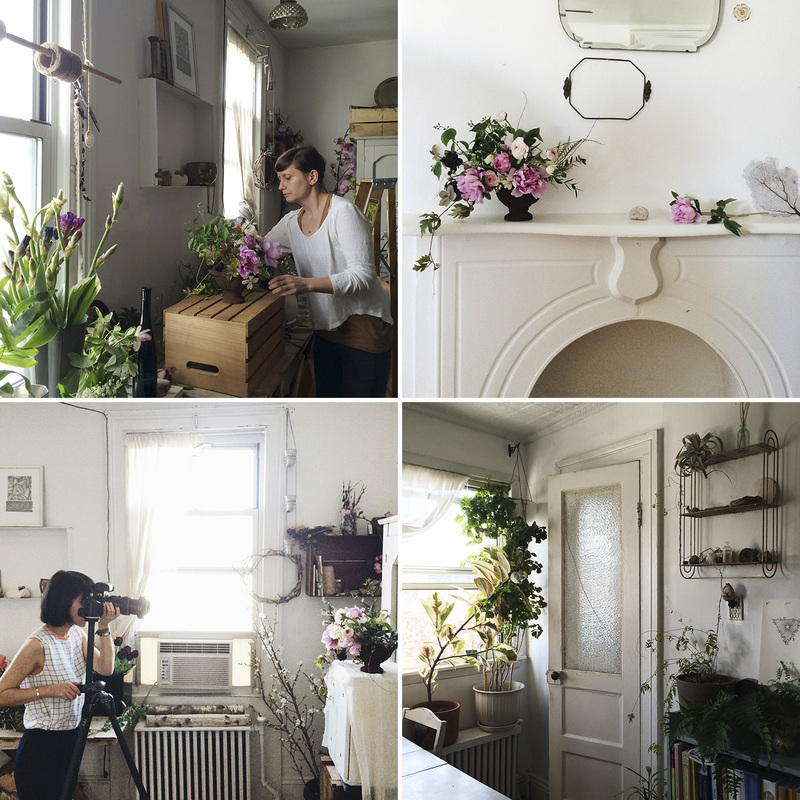 Kristen's home in Greenpoint had the perfect amount of old charm and texture. Although we had loosely planned to shoot arrangements, the peony Kristen had set down on the mantle was too poetic not to shoot on its own. And so our print was born. Below are some more iPhone snaps from the day. This is a lovely capture. I love the way the leaves fall over the side of the mantel. I love your behind the scenes shots, too! Looks like an amazing space. Beautiful 'happy accident'! Just love it.